Organised by Essex & Suffolk Water the fourth annual Triathlon for WaterAid held at Hanningfield Reservoir took place on Saturday 20 May 2017. The event in South East England raised more than £8,500 for WaterAid’s work helping to bring clean drinking water, safe sanitation and hygiene education to people around the world. Event organiser and Essex & Suffolk Water’s Performance and Process Support Manager, Craig Holliday said “The support for WaterAid means that the charity will be able to continue working with those communities around the world that don’t have access to safe drinking water and sanitation. “The event at Hanningfield Reservoir has really taken-off and I’d like to thank all of the volunteers from Essex & Suffolk Water and the Blackwater Tri Club for their help and support in making this a safe and fun event for the people taking part,” he said. The cycling and running routes take in the scenic surroundings of the countryside around the Essex Wildlife Trust visitor centre and Essex & Suffolk Water’s Cafe on the Water. 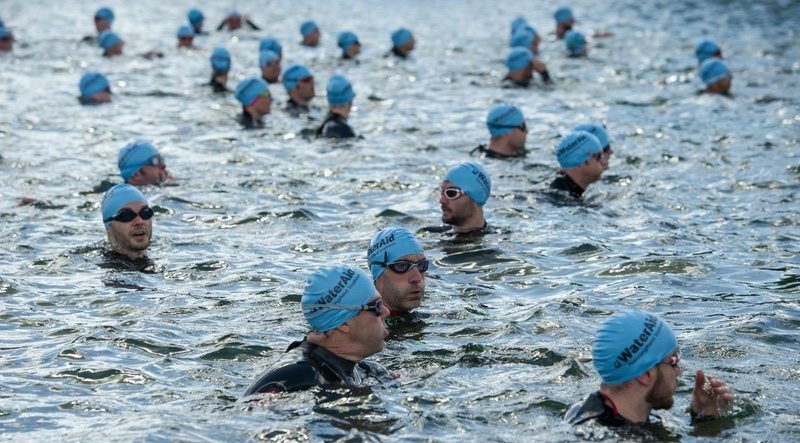 The swim is a ‘challenging open water course in the reservoir’ – the only time this is allowed due to safety considerations. Swimming in Hanningfield Reservoir can be dangerous and is not permitted, except under supervision at events such as the triathlon. The Blackwater Tri Club, from Maldon, provided assistance with equipment and volunteers to marshal the course.